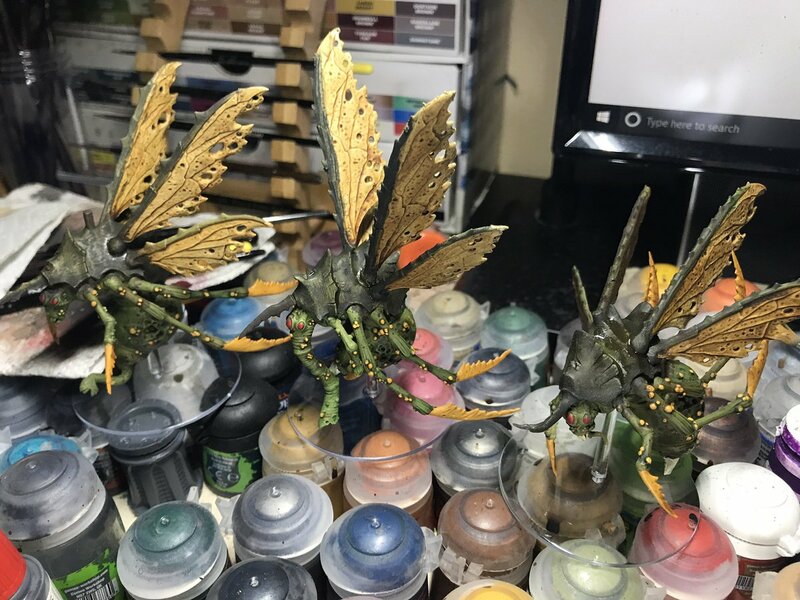 More Blightwar models completed as I tackled the three Plague Drones that come in the box. 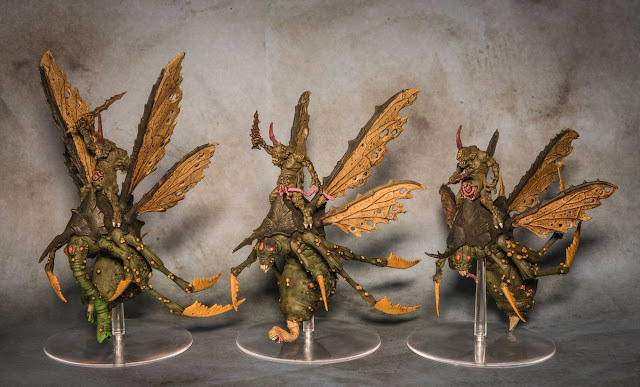 The bonus is that these guys can be used for both my 40k Death Guard army, and a generic Chaos or Nurgle army in Age of Sigmar. I tried to replicate the grimy / dirty look with their shells that I had used for the vehicles in the regular Death Guard army, then go for a diseased green look for the skin. Blocking in the basic skin colors. 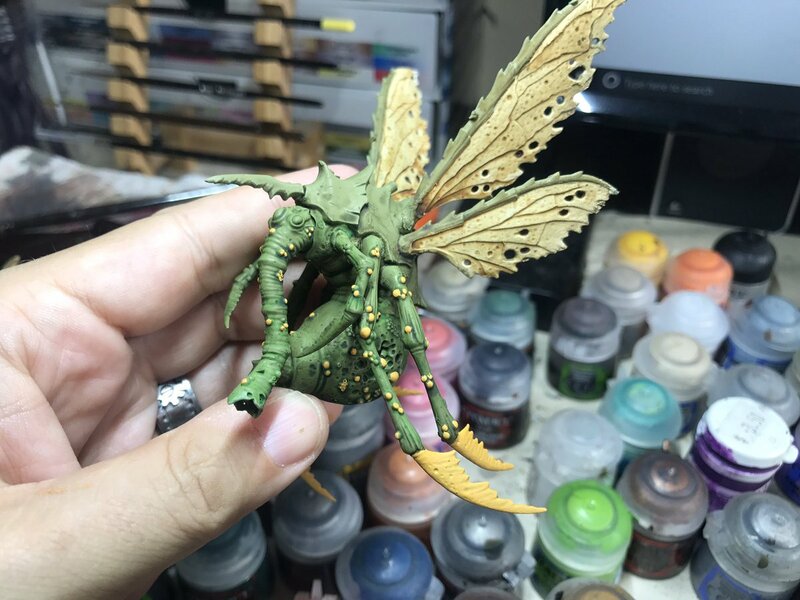 I wanted a faded leather look for the wings. Then I weathered up the chitin areas with Typhus Corrosion to give them that hard armored look. 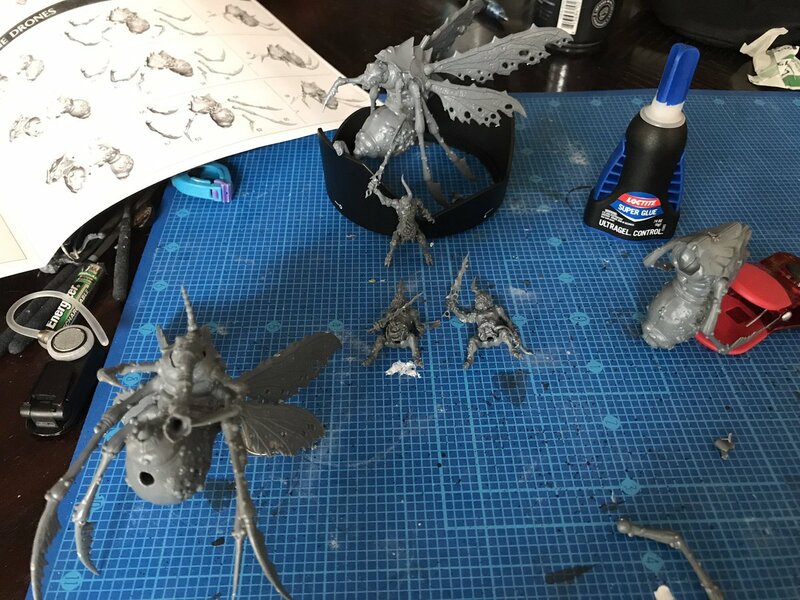 They will make a good addition to both armies, and make great background elements for battlefield shots in the studio as well.